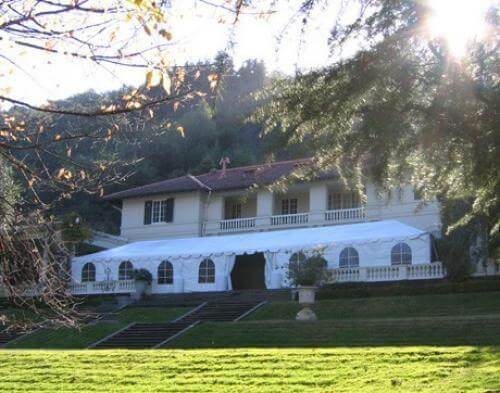 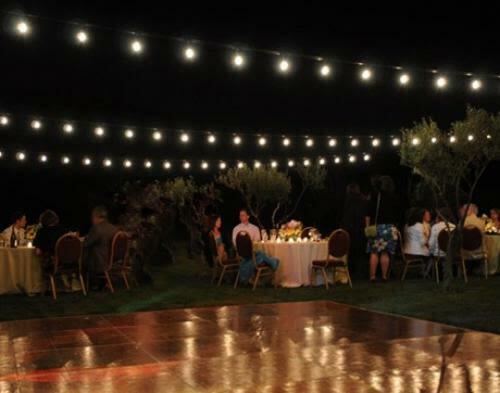 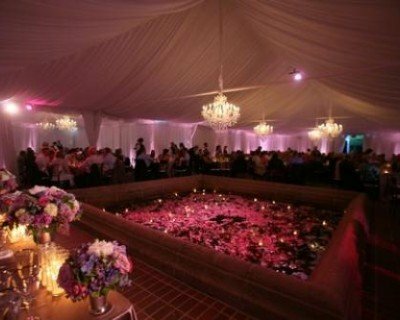 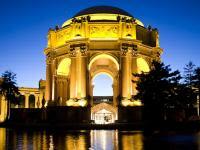 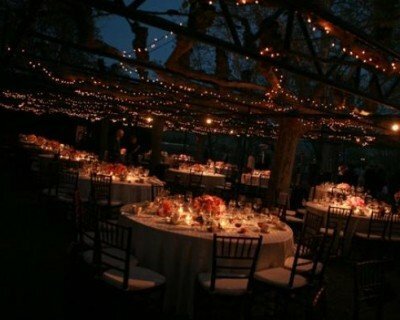 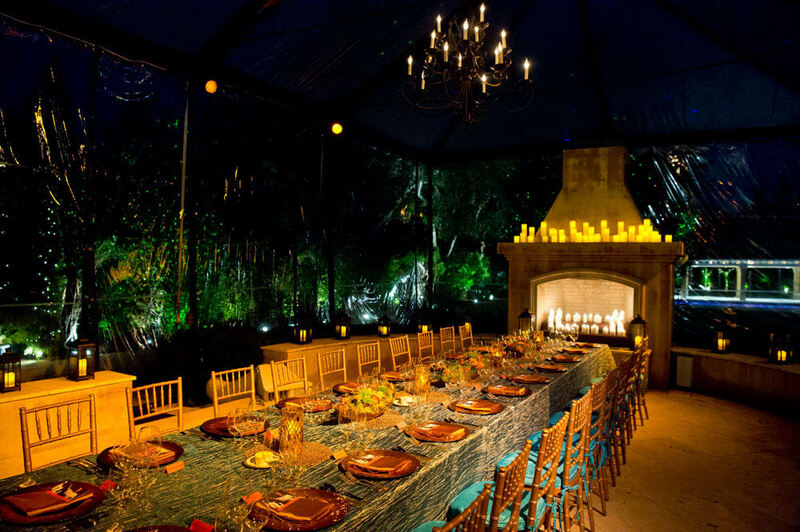 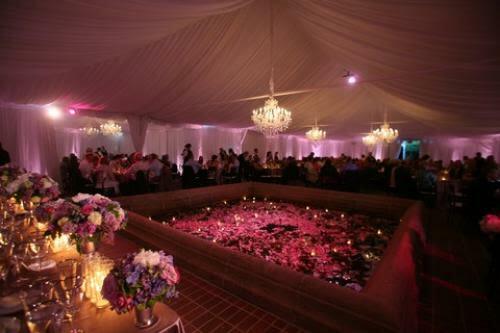 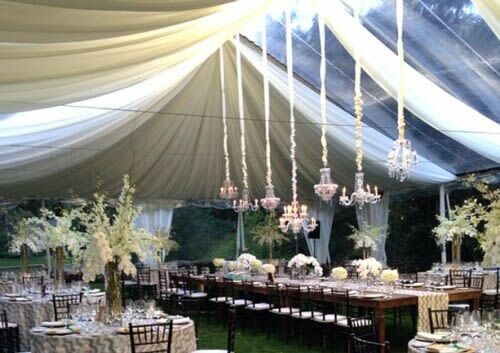 We enjoyed assisting in the set-up of a romantic wedding celebration at a private residence. 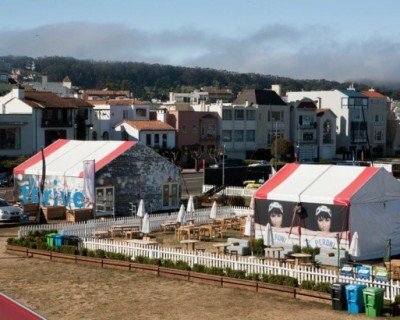 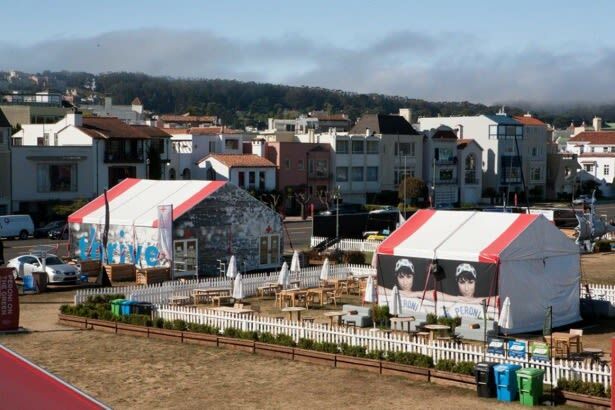 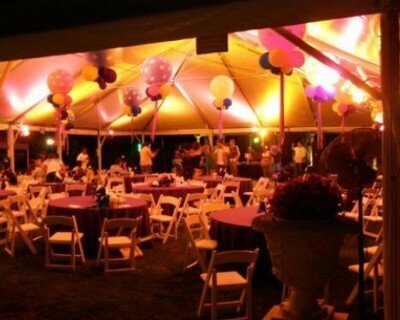 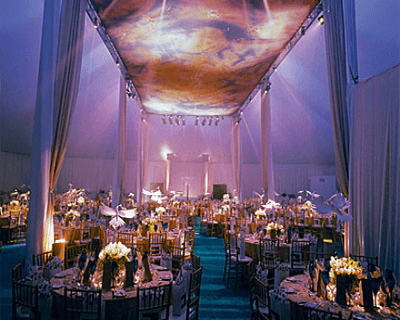 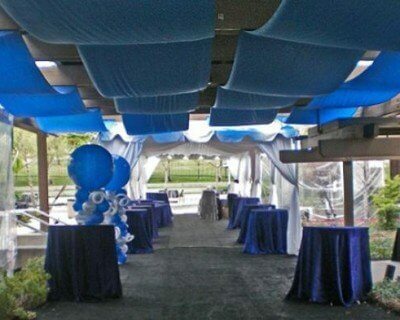 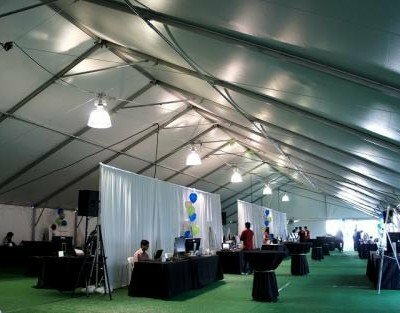 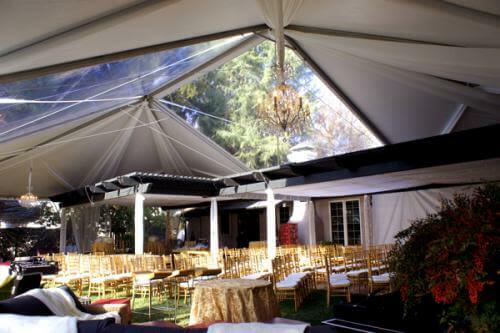 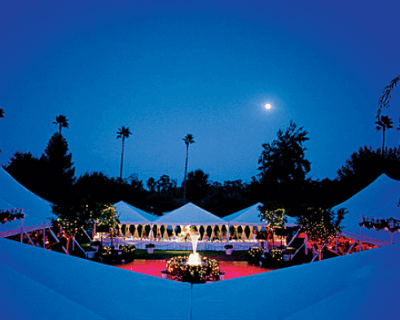 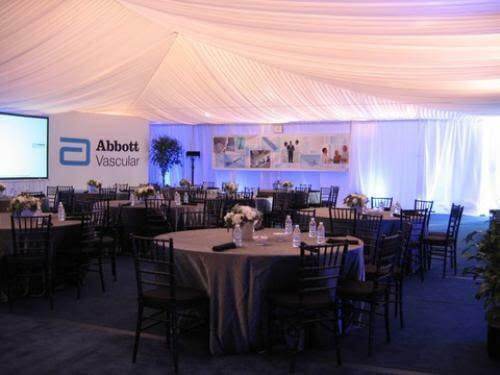 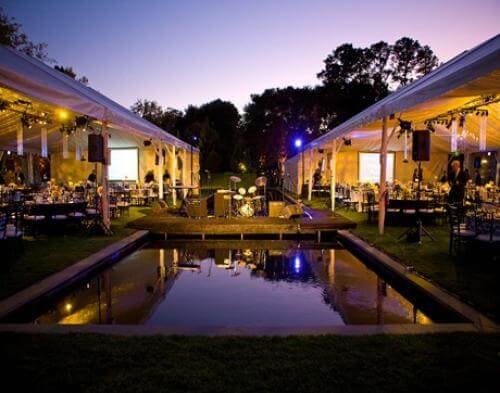 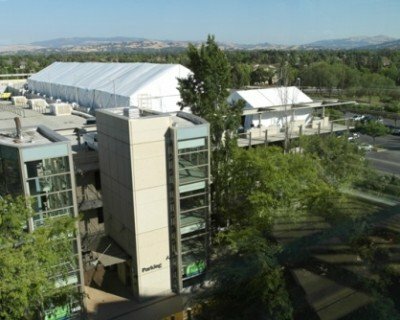 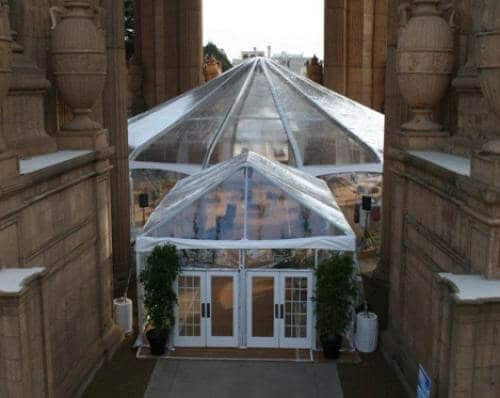 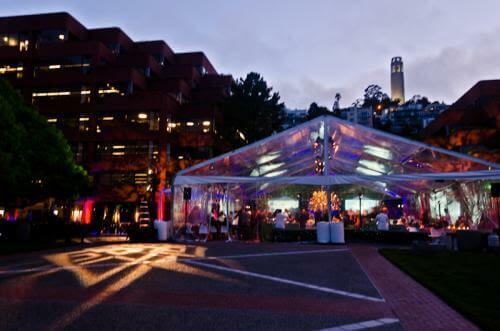 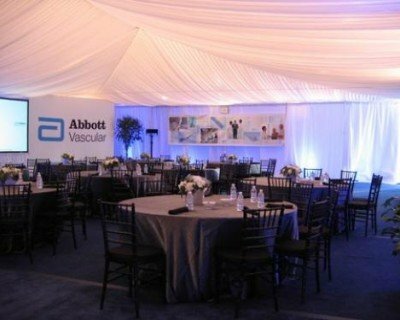 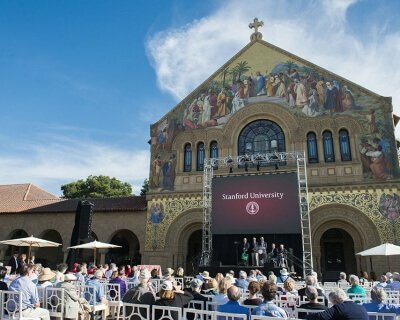 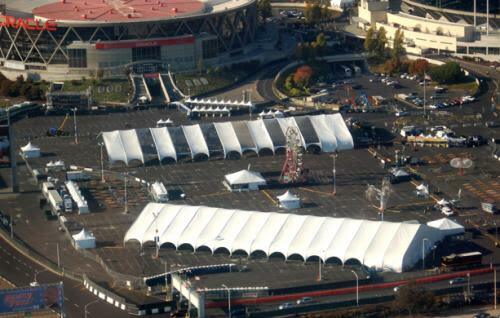 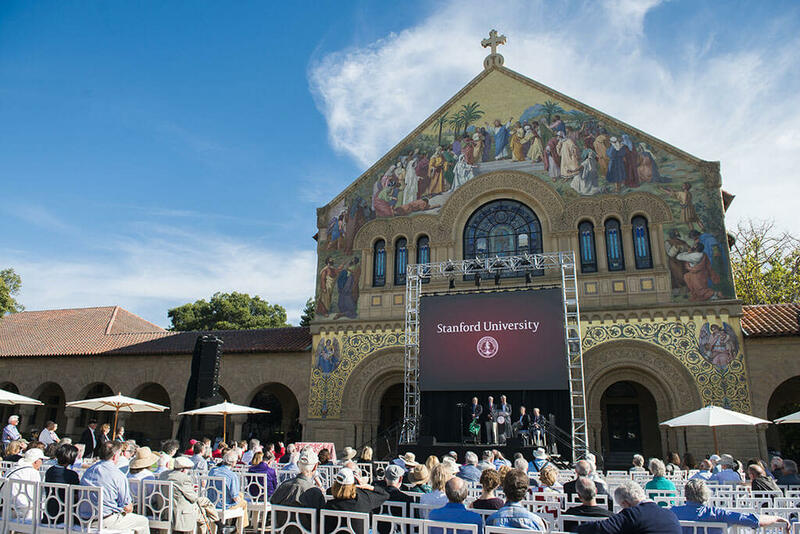 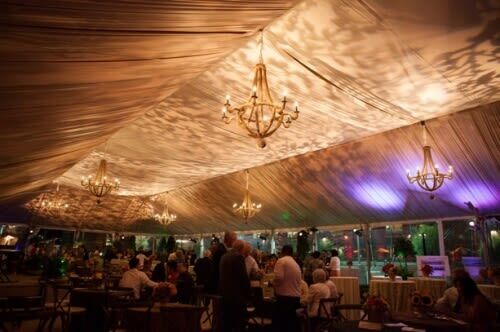 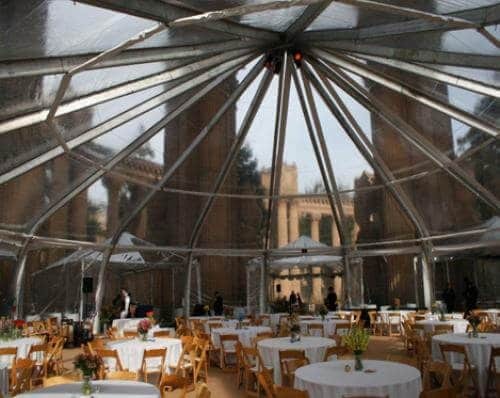 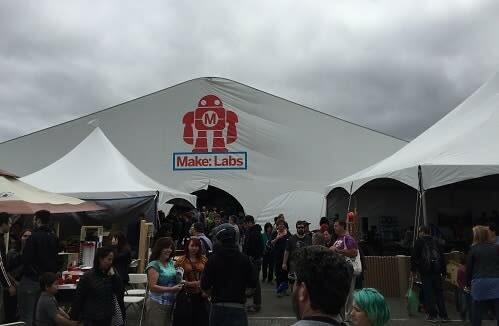 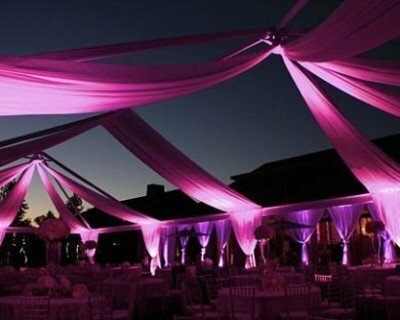 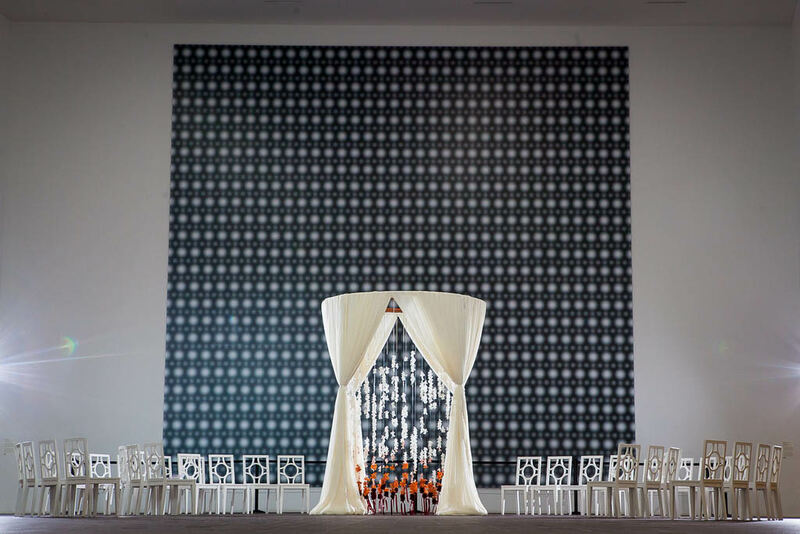 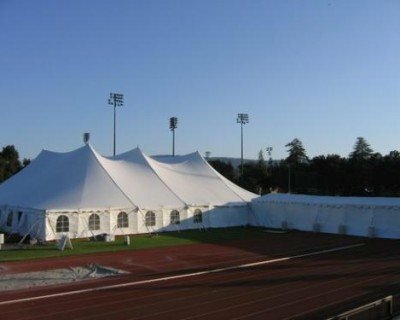 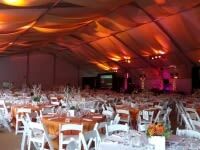 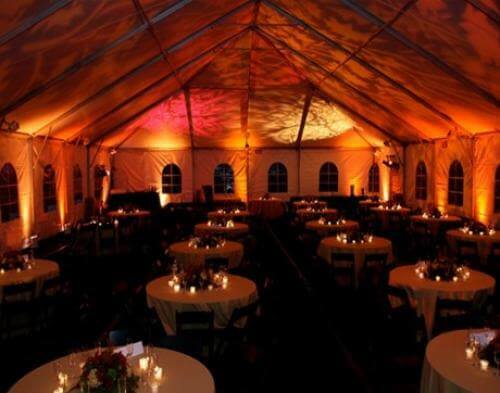 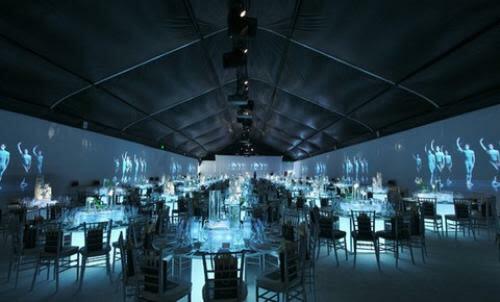 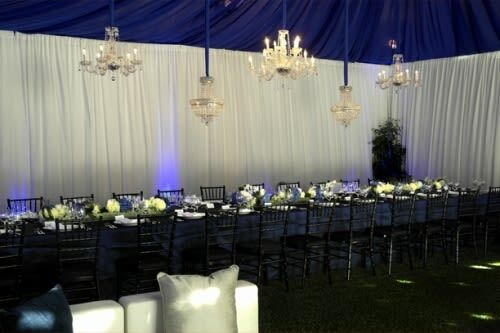 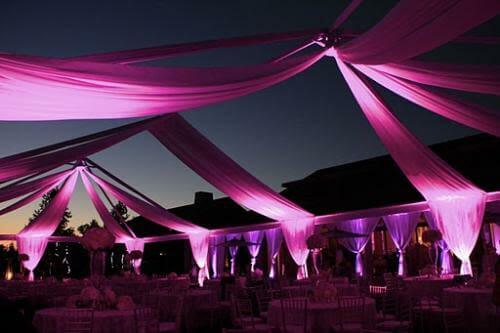 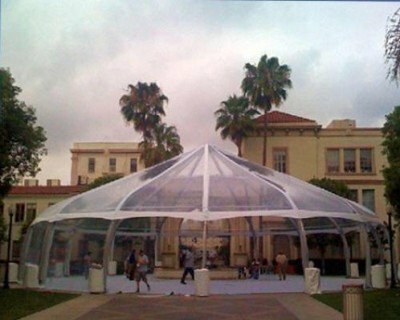 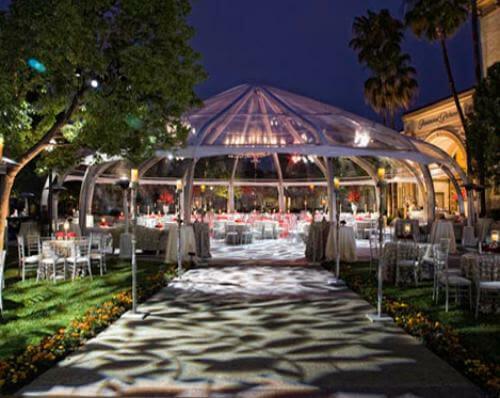 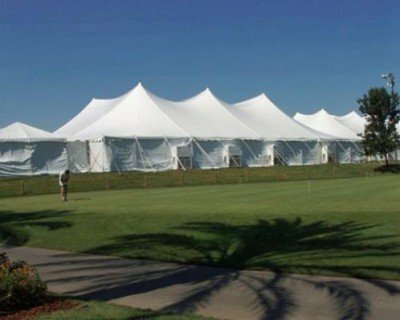 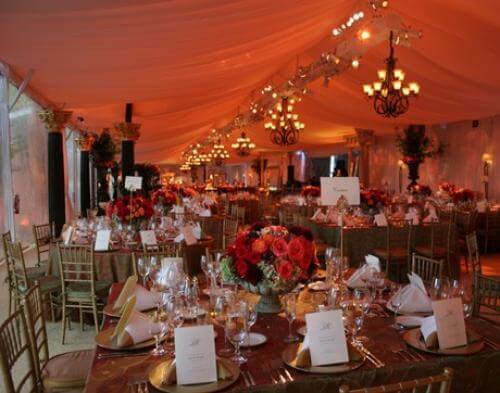 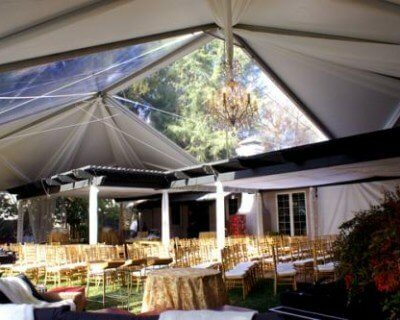 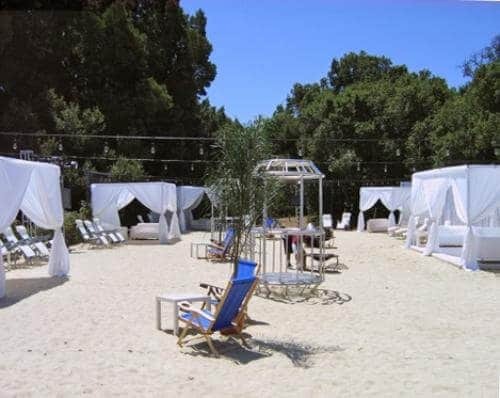 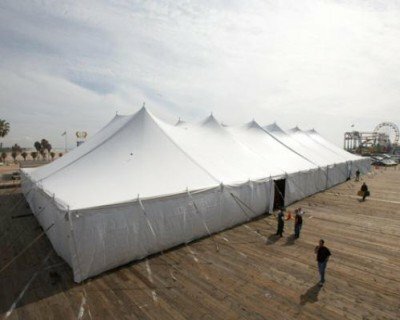 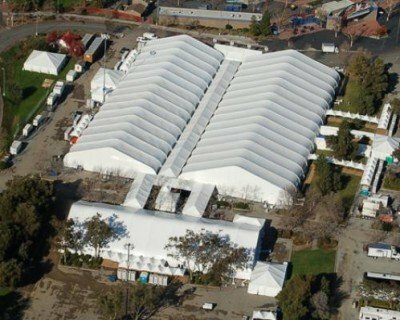 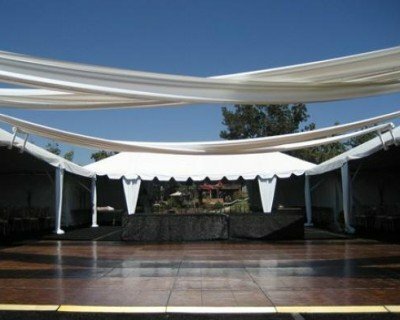 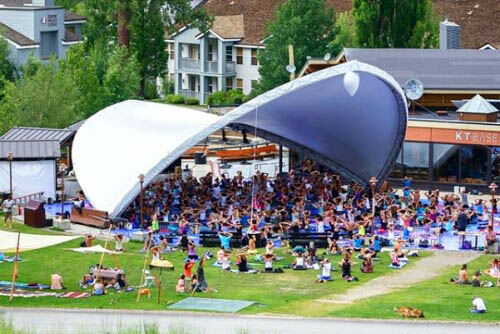 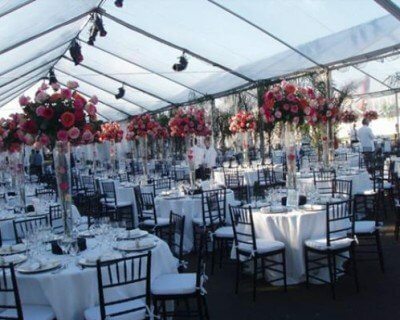 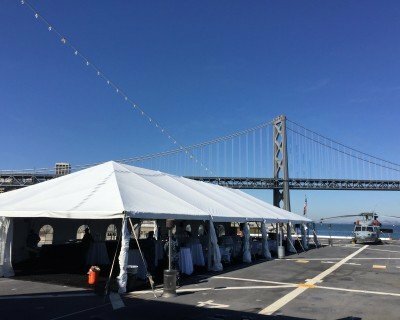 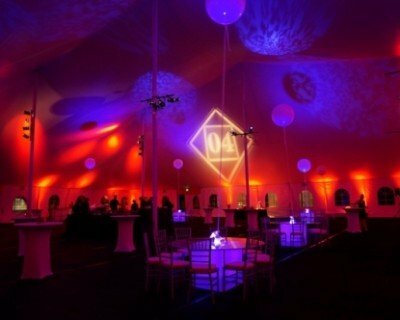 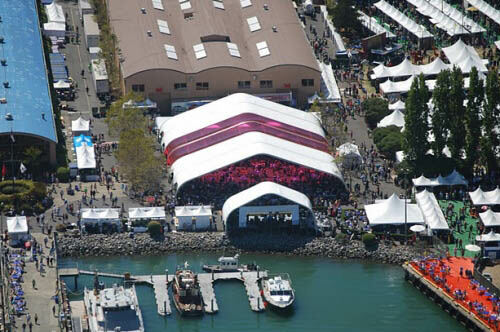 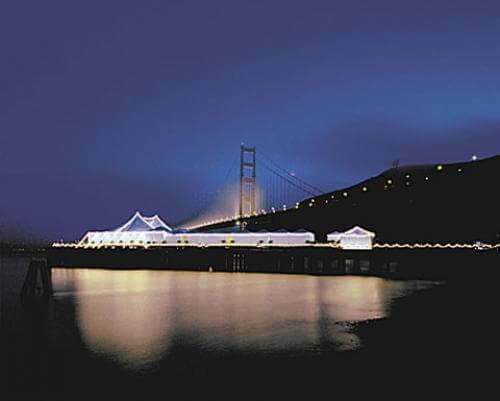 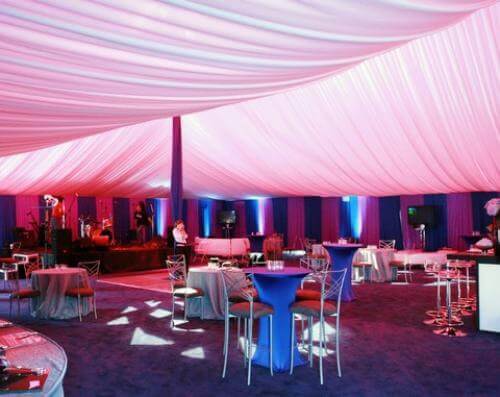 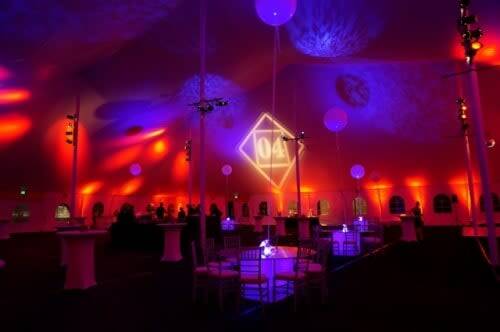 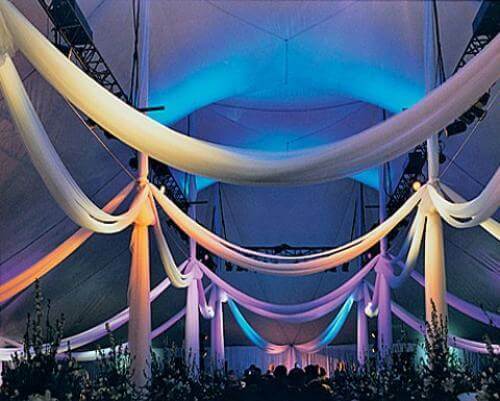 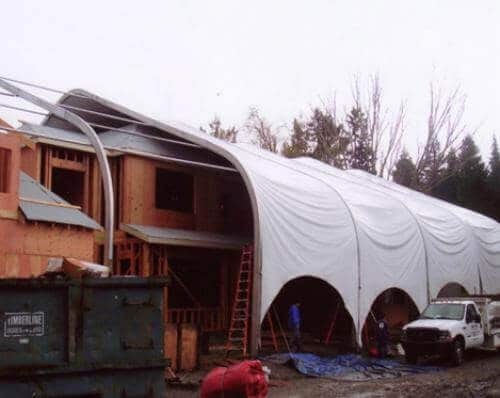 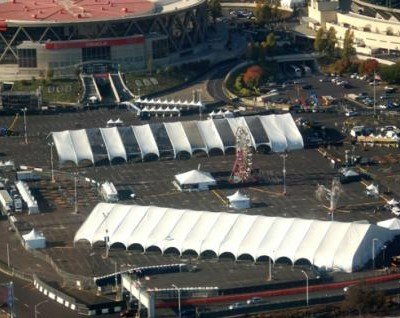 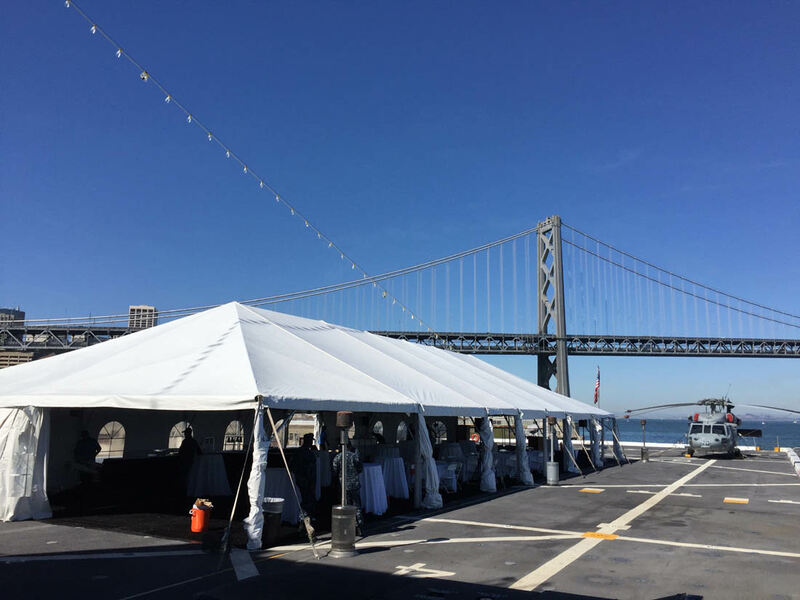 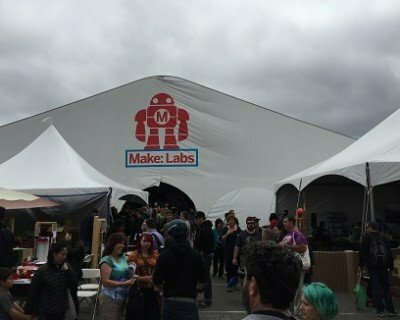 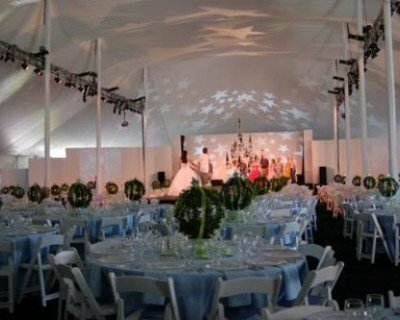 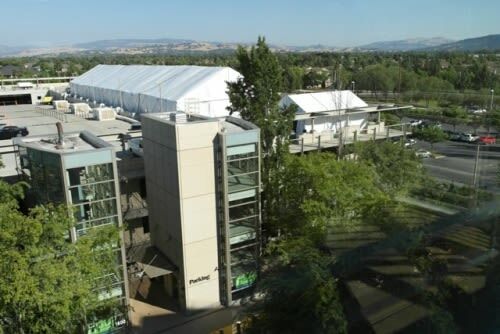 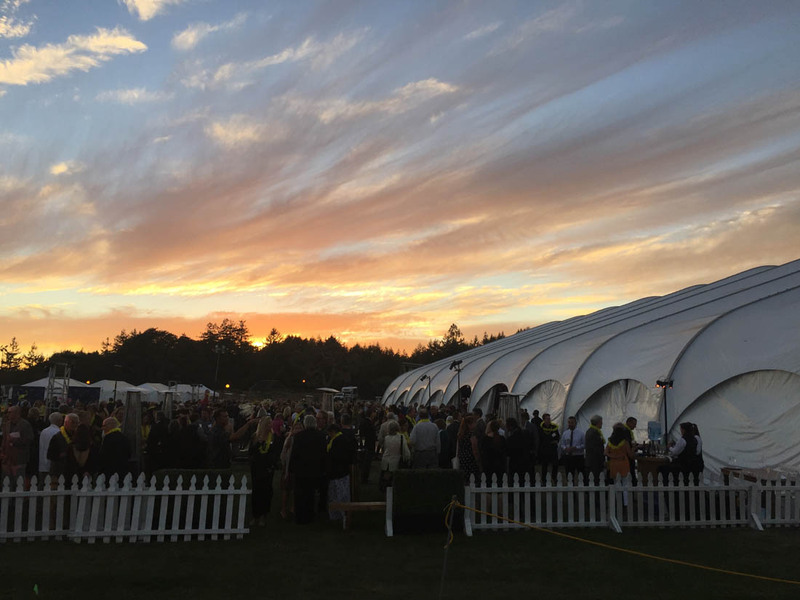 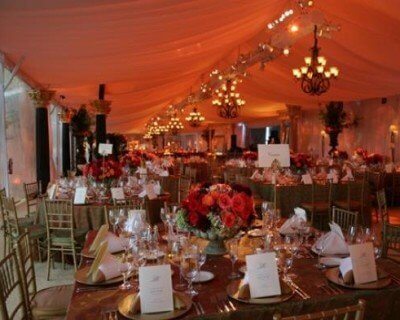 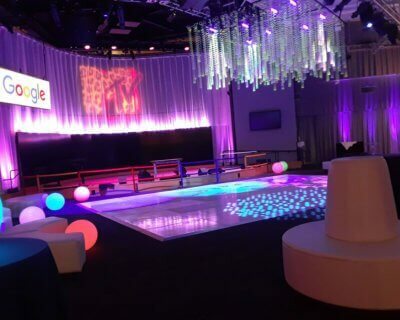 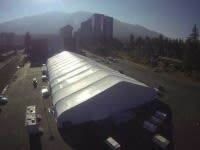 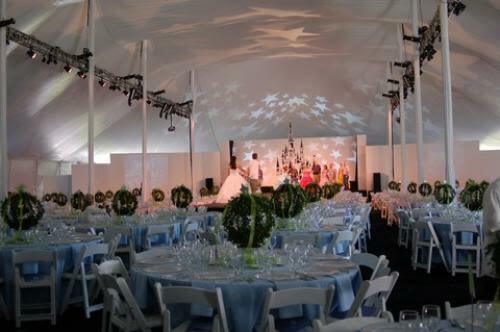 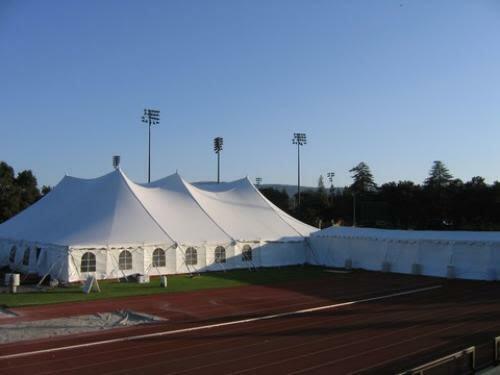 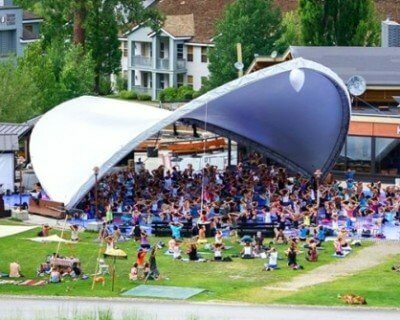 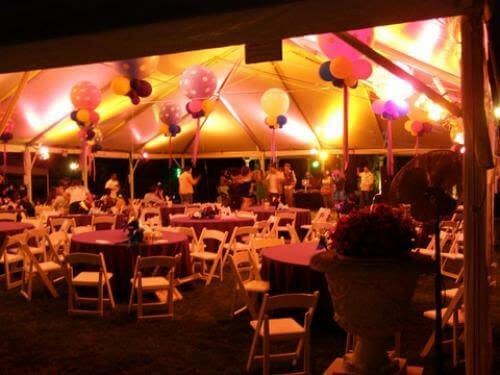 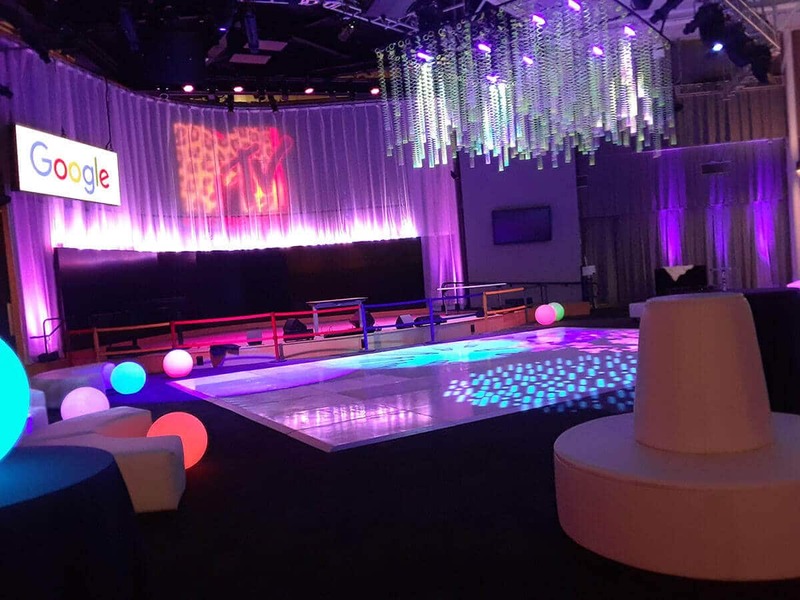 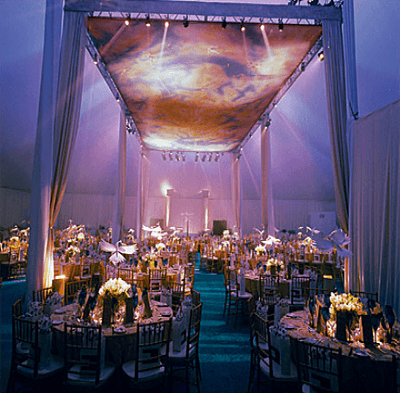 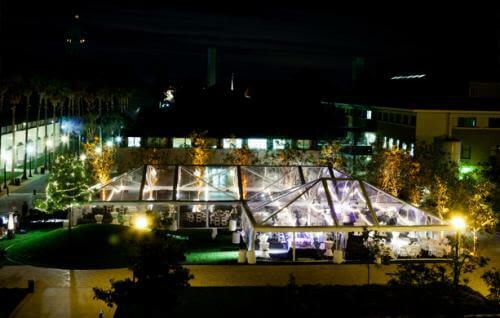 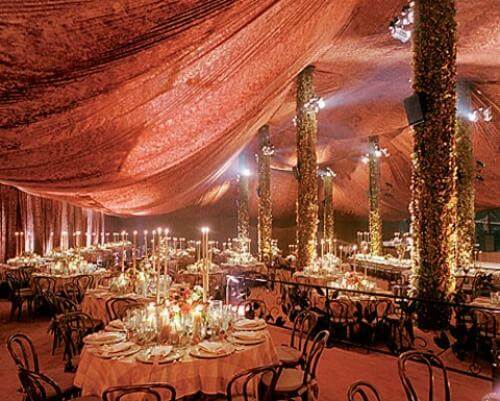 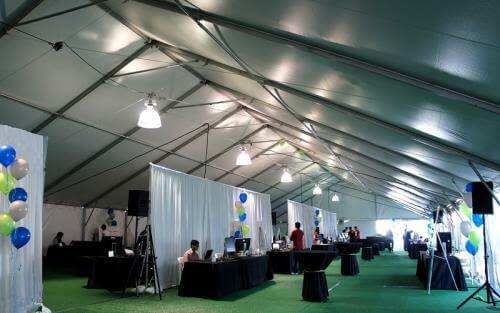 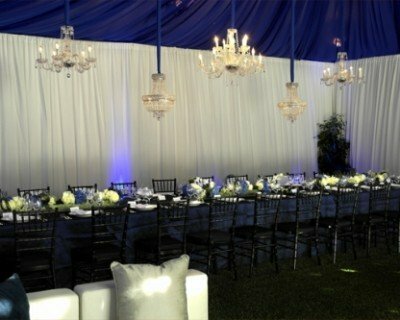 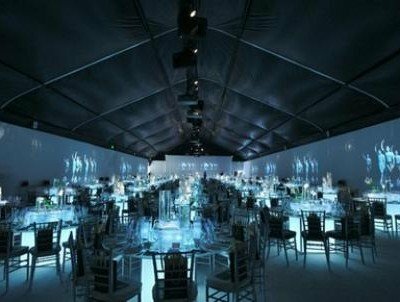 The tent rentals used for this event were two 15×50 frame tents – one clear tent and one white tent with a ceiling liner. 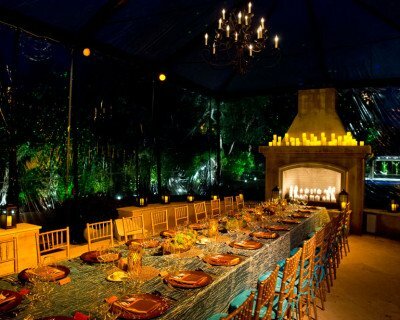 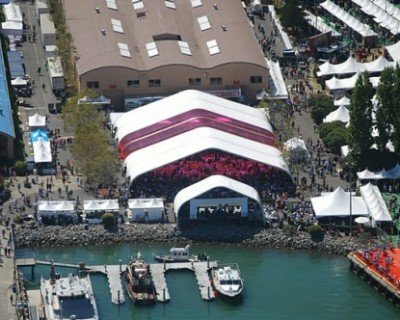 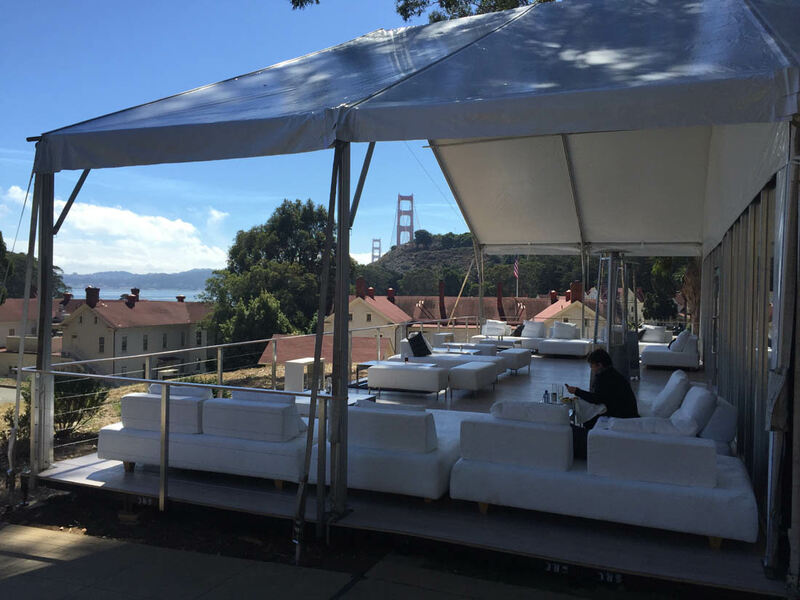 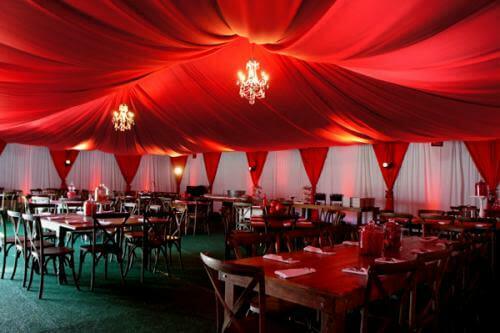 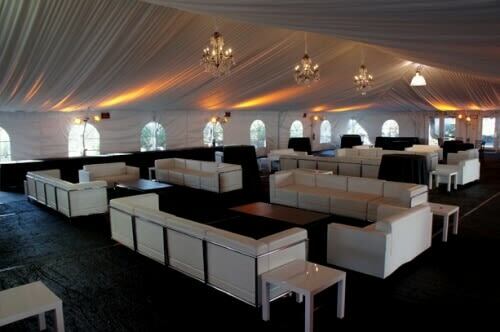 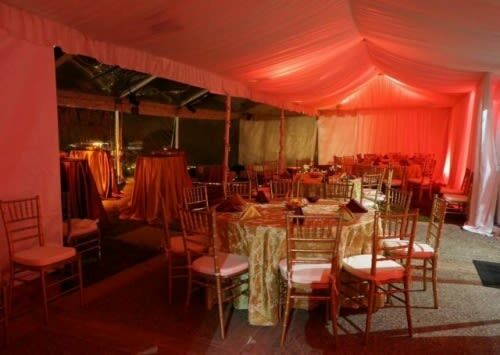 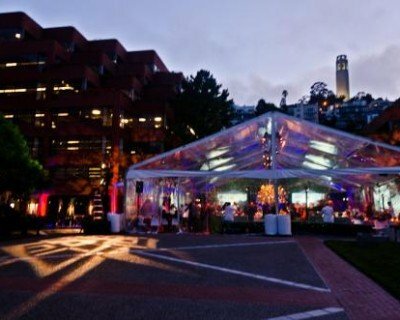 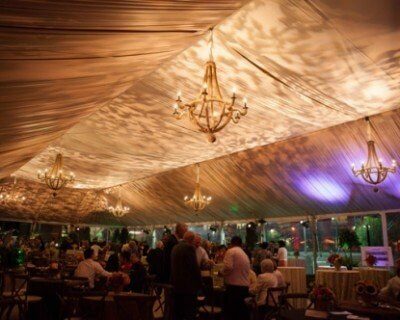 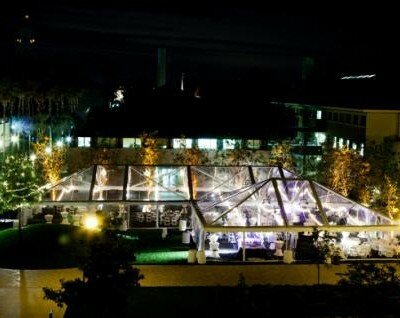 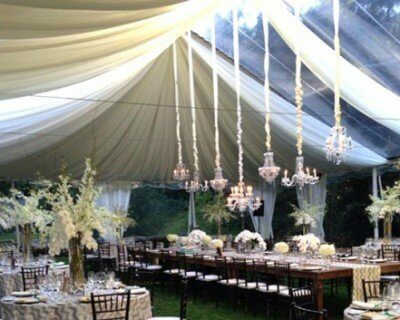 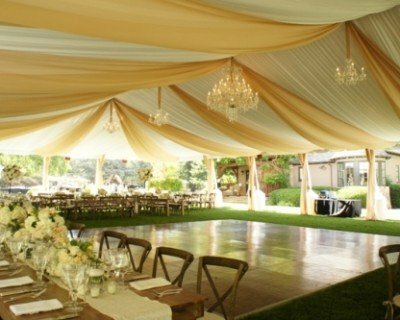 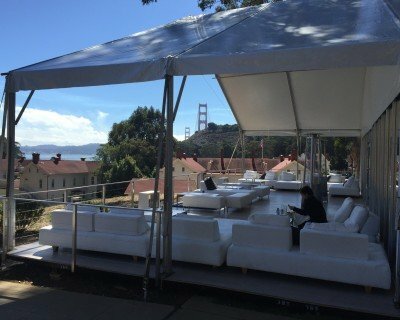 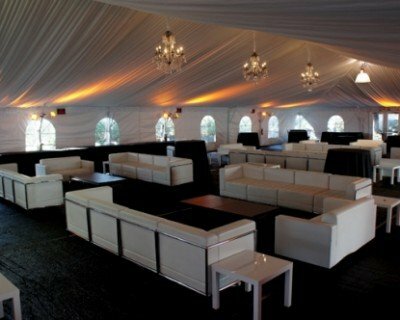 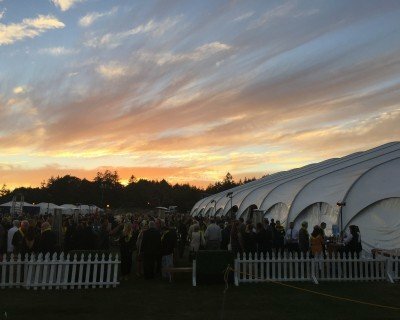 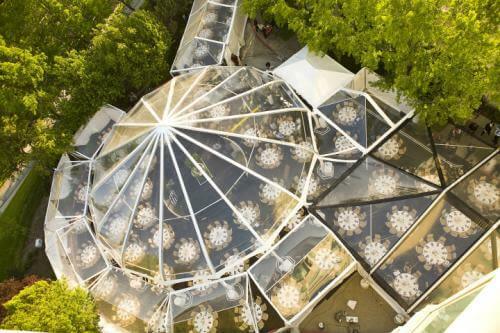 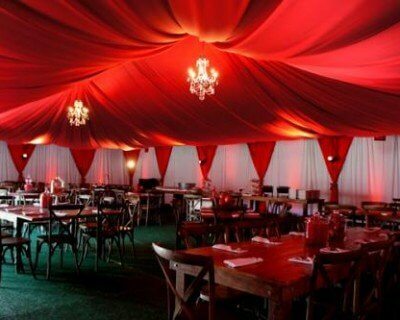 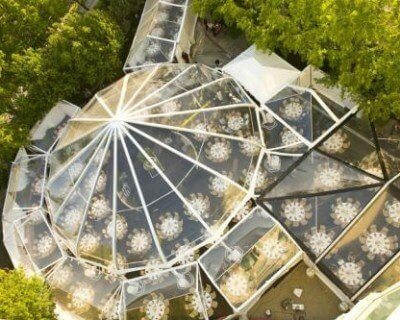 The white tent was used as a dining room, while the clear tent sheltered a cocktail area. 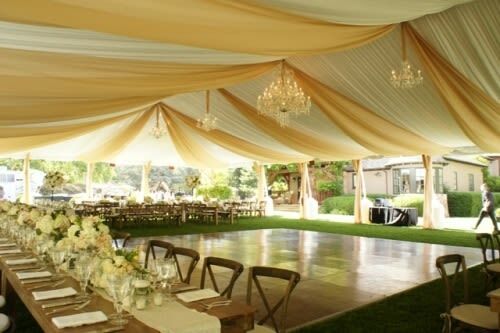 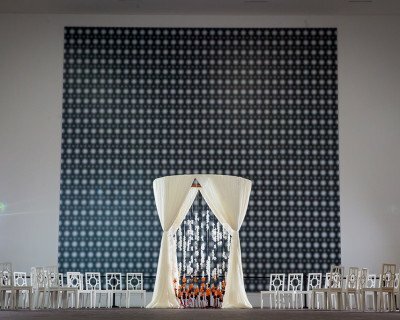 Round tables were draped with Aurora Honey linens while the cocktail tables were draped in taffeta gold and taffeta raspberry linens. 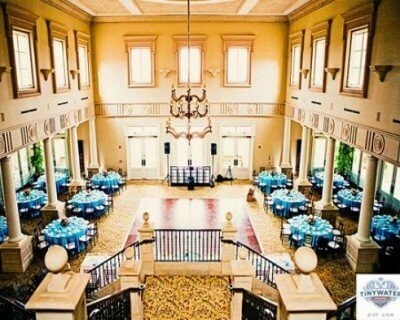 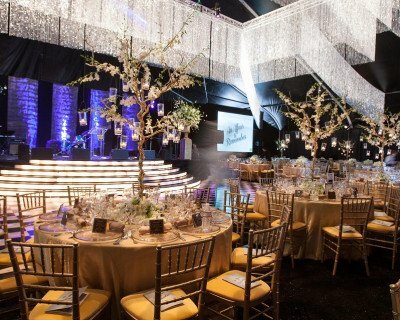 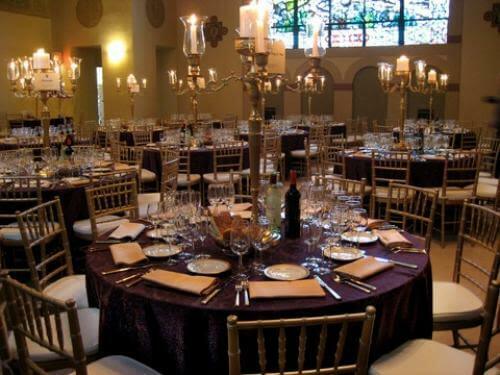 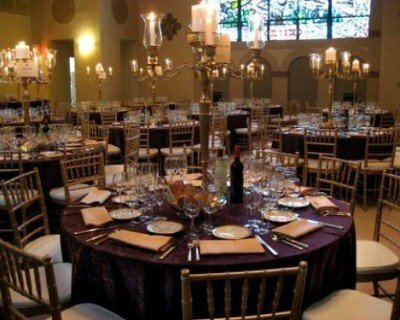 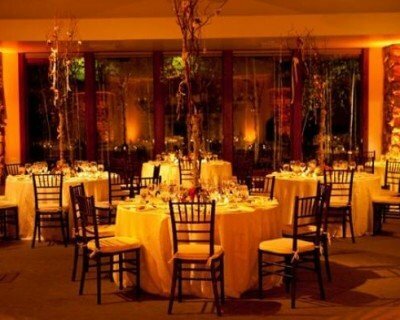 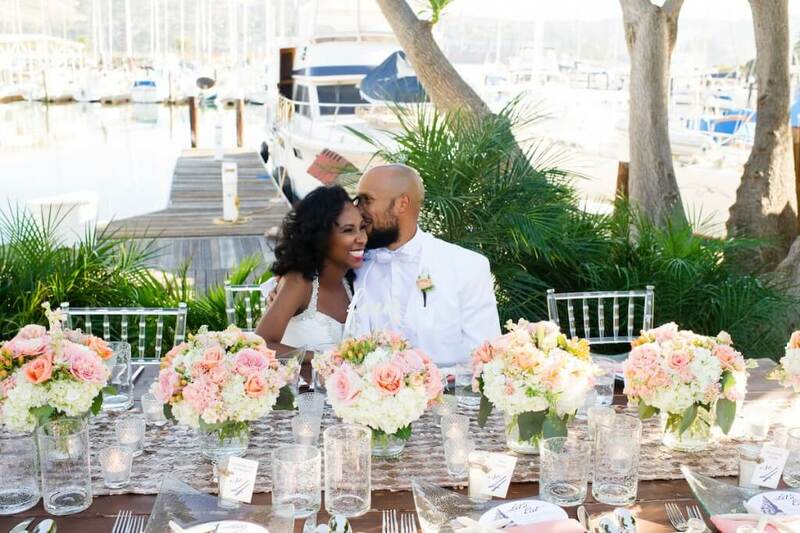 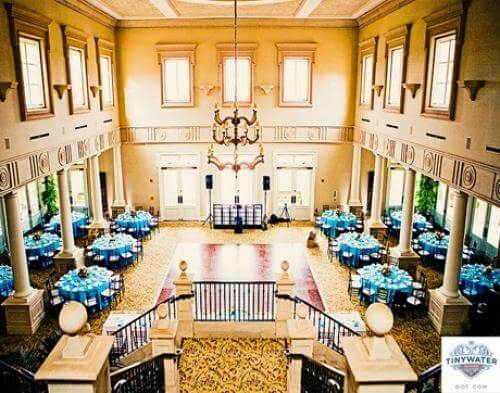 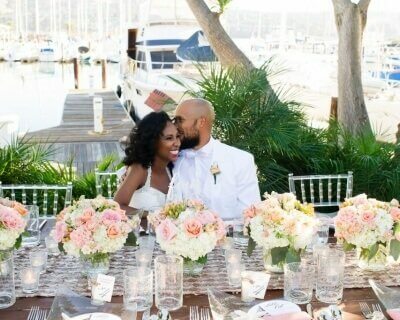 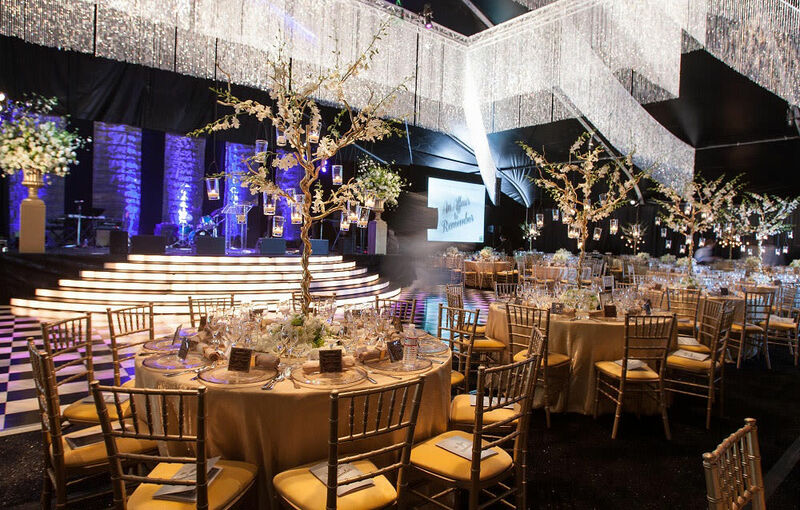 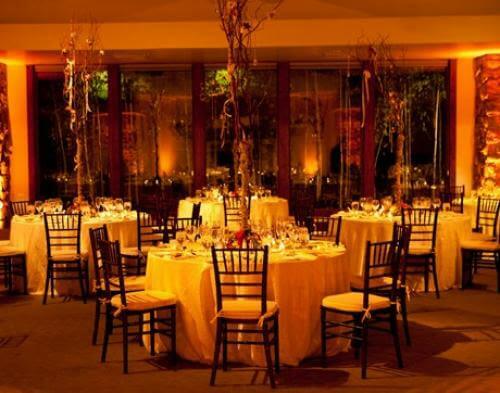 Gold Chiavari chairs surrounded each table, while lily bowls filled with flowers and candles were used as centerpieces.